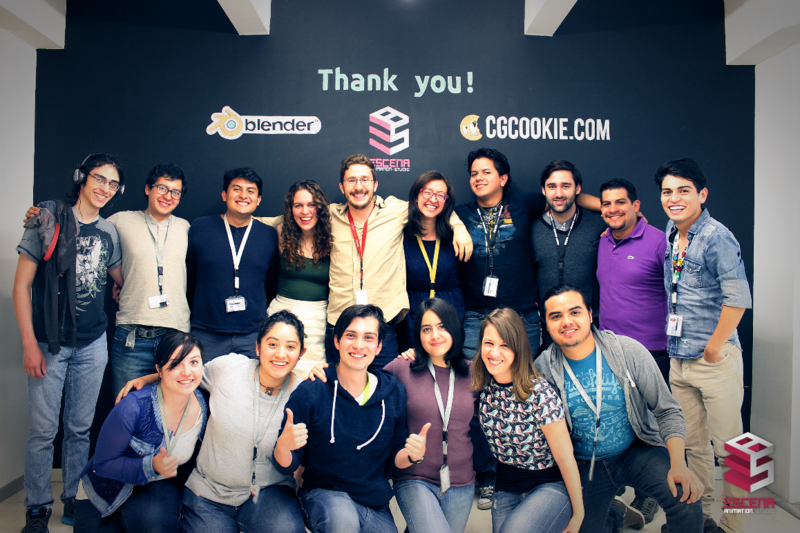 Last year, we told you about a Mexican animation studio that functions as a project-based extension of an animation school (and uses CG Cookie tutorials to learn Blender!) Today, we continue to follow their story as they near the completion of their first teaser for a feature film, more experienced and more optimistic than ever. “The most incredible thing about the animated teaser we are working on is that the students still don’t know the full story of the film,” laughs Mauricio Flores, the director and main creative force at Escena Animation Studio. The in-house studio is a project of ESCENA, a leading animation school in Mexico with a current enrollment of 230 students. As an extension of the school, the animation studio offers selected students an opportunity to be involved in a real-life production.So why the suspense? 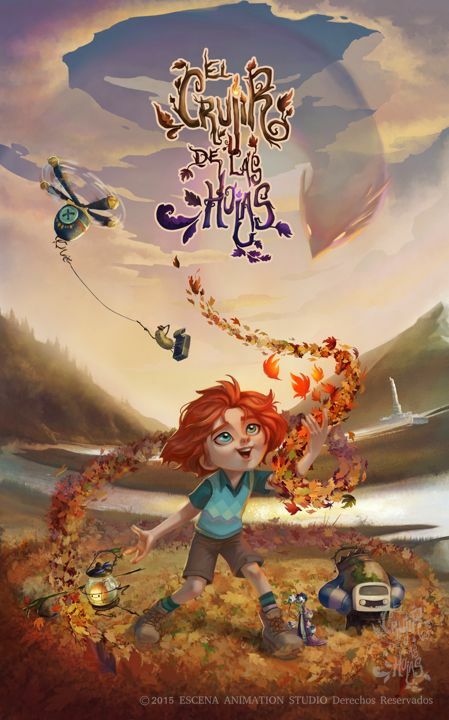 The story of the film, The Sound of Leaves (El Crujir de las Hojas) is still a work in progress: when the teaser production commenced in 2015, students chosen to work at the animation studio were told only broad strokes of the story.Now, well over 1 year into their work, the 22 member crew is slowly unraveling the plot: “The teaser shows scenes from a childhood of Julian, our main character. The story is about his journey towards self-forgiveness later on in his life,” explains Mauricio. Details are to remain a secret to public until the teaser’s completion, planned for May 2017. 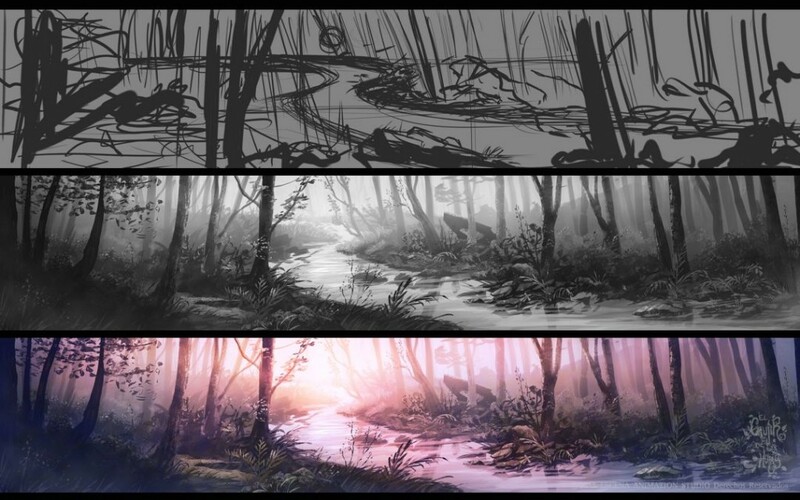 The Sound of Leaves isn’t the studio’s first project: a previous one ended due to a lack of direction. Being purely student-run, the first studio had no shortage of creative ideas but lacked leadership. To start anew, the director of ESCENA School, Andres Buzo, invited Mauricio, an experienced CG artist, to re-launch the studio with a fresh direction.Mauricio brought with him the story of The Sound of Leaves , which he has now been working on for 4 years. “I grew up influenced by powerful stories and characters,” says Mauricio. “They really shaped the person - and artist - I am today.” Striving to pass on the magic of storytelling and moving images, Mauricio wears multiple hats at the studio: he is an educator, a director, scriptwriter, and a team member who helps out the students with whatever task is at hand. 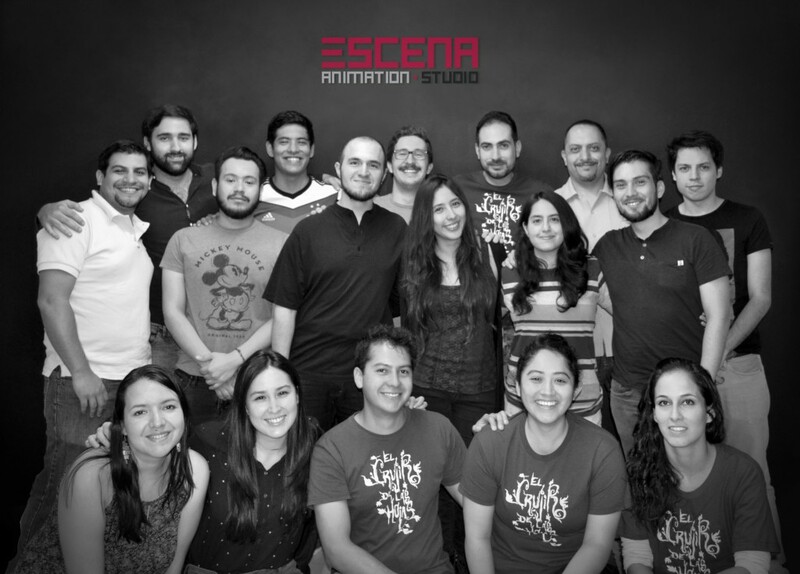 Remarkably, Mauricio is one of the few teachers at ESCENA School to receive their formal animation training in Mexico: others have graduated from international schools and brought their experienced back with them to do things differently - and better. Diving into Animation? Take a Shortcut: "The Animation Bootcamp"
A cornerstone of Escena Animation Studio’s philosophy of empowering artists is the choice of software. All tools used at the studio are free, with Blender the main software of choice. 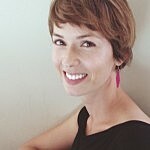 The choice to use free software is a personal initiative of Mauricio, a long-term proponent of open-source tools like Linux, Krita, and others. “I believe that your tool can define your future as an artist,” says Mauricio, “and I want software that I can trust and help shape its development. When I discovered Blender, I was amazed at what it can do - and I’m happy to say that the students at the studio love it too. In fact, some of my students already know Blender better than me at this point,” he adds happily. The animation school, ESCENA, still uses Autodesk software. However, as the studio crew returns to school from the studio, they are introducing their friends to Blender. When a younger student inquires how to do a certain task in Maya, they have a standard response: “They tell them, jokingly, ‘Just do it in Blender!’,” laughs Mauricio. But Blender isn't the only thing the studio crew has to learn about: once selected to join the studio, the students go through an intense 6-week training course on art fundamentals, a requirement introduced by Mauricio who insists that a firm understanding of the basics of art and cinematography is the key to success. “Students need to understand how an image in motion works before they dive into Blender. They also learn drawing; not just as a technical ability, but mainly as a mindset they need to have to produce good images. With solid fundamentals, I know they’re going to do better work.” Mauricio explains. 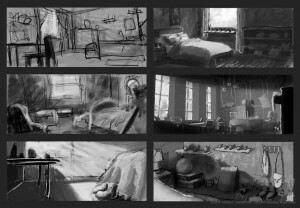 Due to the small size of the studio, each student needs to take on multiple roles; the main ones are modeling, texturing, animating and rigging, though students also do compositing, dynamics and rendering. As Mauricio observes, the most attractive role for students tends to be modeling, but this changes over time: “At some point, the students start rigging, animating and simulating. They quickly become fascinated by it and, suddenly, students who never wanted to rig are now captivated by it. It really is an enriching experience,” smiles Mauricio. His students second this: “In the classroom, I learn the theory, but here at the studio I am getting practical knowledge and experience real-life situations,” says Adrian Rodriguez, the studio’s lead texture artist who aspires to work in an international gaming studio making AAA games. Mauricio is well aware of the hardships: “The truth is, animation can be a pain,” he says. “The work environment is intense, so my goal was to build a studio in which we work as a family and that becomes our second home. I am surrounded not just by talent, but by people who have the right mindset and are a joy to work with.”And so far, it’s been a success: “The environment in the studio really deepens the relationship within the team,” says Edwin Martinez, a lead modeler. Others agree with him: “The atmosphere is of mutual assistance and helping each other become better artists.” says Gabriela Herrera, modeler and texture artist: “The atmosphere is really fun and relaxed. This is my second home where I live with the most crazy and creative family I could have,” she laughs. 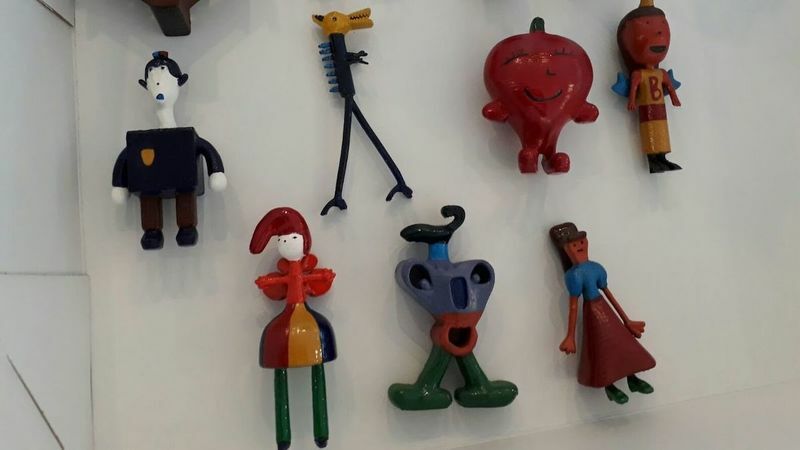 Considering the time commitment the studio work means to the crew, their passion is key: most of them juggle roles at the studio with regular classes, school projects and supporting teachers as teaching assistants at ESCENA, where they often supervise the work of younger students. 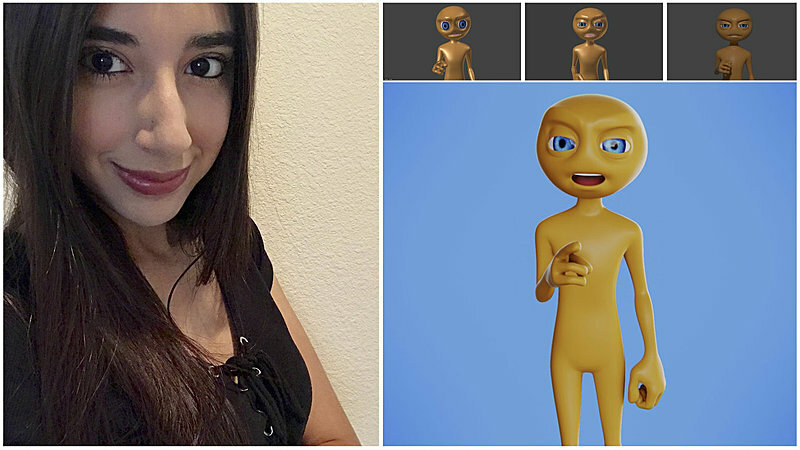 “The hardest part is organizing my time for school assignments, the studio, and personal projects, without leaving any of them behind,” admits Karla Alcocer, a modeler, and texture artist. However, the students are determined to see the project through to the teaser's completion. In fact, several have received job offers from the industry because of the quality of their work - and turned it down, just so they could continue working on the teaser for The Sound of Leaves. “To me, that is the biggest validation that what we are doing is incredibly meaningful to the students,” says Mauricio proudly. With the completion of the teaser scheduled for mid-2017, the team is already looking ahead. Their goal is to maximize the teaser’s international exposure while starting work on pre-production of the full-length feature film with a new group of students, as well as professionals who would join forces. 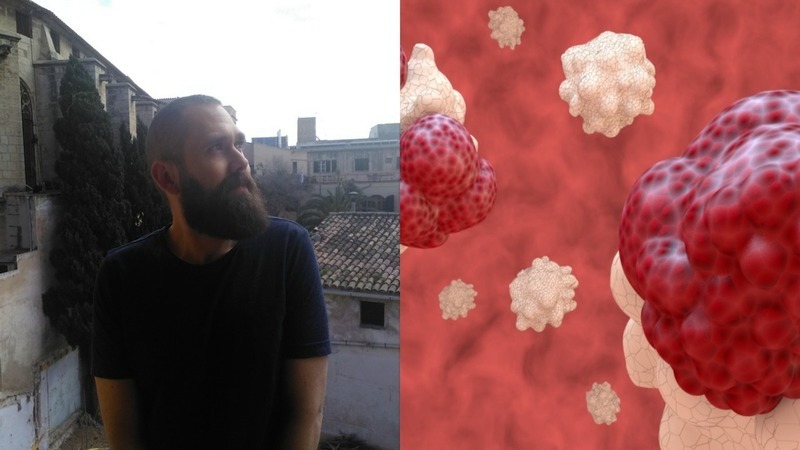 “We are thinking of co-production with other studios around the world, as well as getting additional support from the Blender Institute,” says ESCENA’s Academic Director, Andres. “The response so far has been great and we are keeping all our options open. We know we have something truly special on our hands,” he concludes. For more images, updates from the production and information about the project, check out the website of The Sound of Leaves.Want to bring CG Cookie to your school? Let us know. Hi Palva, It was a very good article to read, thank you very much. It gives the desire to work hard to get involved one day in such project. Glad you enjoyed it Bruno! It really is a very special project and a huge inspiration, we are excited to watch the teaser once it's completed.